Pet microchipping is becoming one of the most widespread pet technologies in use today. Pet owners who are dedicated to making sure their animals receive the best possible care, it’s easy to see just how useful it can be to microchip the dog or cat they have adopted. Microchipping an animal is a great way to use a recent advance in technology to raise the safety and security of your beloved housemate. It makes it easy to locate and retrieve a lost pet if he or she happens to wander off. When an animal gets microchipped, a small needle containing the chip is inserted between the layers of the creature’s skin. The microchip is utterly permanent and will remain in place for the rest of the animal’s life. The process of having an animal microchipped is very quick, and many pet shelters and breeders are deciding to have all their animals microchipped before adopting them out to people who are interested in owning the cat or dog. This ensures that the critter can always be traced back if it happens to wander off and get lost (or someone steals it). 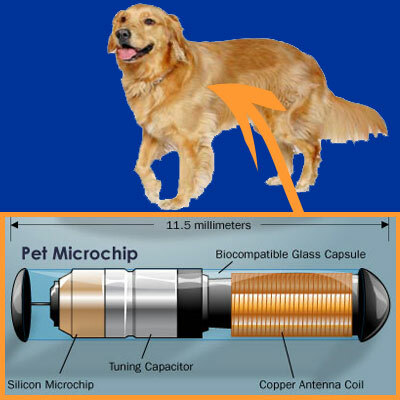 The great thing about microchipping a pet is that it can be done in a matter of minutes and with little pain involved. The animal may be young when it’s done or old, depending on the pet owner and his or her requirements. This type of benefit can easily be an advantage for those who have a tendency to lose their pets often. For example, a homeowner might have a housecat who gets out whenever the door is opened, no matter how briefly. Such a cat can get into a lot of trouble if he or she is not found right away. Having a cat microchipped will enable its owner to find the feline quickly and with ease. When an animal has been microchipped, the chip number can be scanned or used on the Internet to locate the animal. It’s vital for pet owners who have had their pets chipped to keep the information concerning their pet handy. Then the owner can quickly look online to find that beloved pet. Alternatively, the shelter that adopted the animal out to the pet owner can be contacted if the owner doesn’t have the information that relates to the specific chip inside the pet. Fortunately, most pet owners are realizing that it’s well worth their time to get their pet microchipped. It’s particularly ideal for both dogs and cats that go outside a lot and have a tendency to get lost. Microchipping can be done for free before an animal is adopted or it can be done for a fee by the local shelter or veterinarian’s office. This is a great pet technology that’s taking the human-and-animal world by storm and saving animals’ lives.